May 1….First Friday Art Trail - See the regular art venues...plus the exciting monthly additions showcasing art and artists downtown and throughout Lubbock. Catch a trolley or bus at many of the locations orpick up a FFAT map at any of the venues to see the art that can be found throughout the community each month during the event. First Friday Art Trail trolleys run continuously in downtown Lubbock during FFAT hours. Trolleys are free and you will find a "trolleyteer" on each trolley who is a treasure trove of info about FFAT and the arts in Lubbock and will help you navigate with ease. For more info and complete schedule click HERE! The trail runs throughout downtown and the Depot District from 6 - 9 p.m. The Buddy Holly Center will provide an opportunity for patrons to enjoy fine art, entertainment, and refreshments at the center for free. Buddy Holly Center, 1801 Crickets Ave.
May 1….Youth Film Festival - The Youth Film Festival showcases films made by South Plains students featuring students making an impact in our community. Admission is free. Firehouse Theater at LHUCA, 511 Ave. K; 6 – 9 p.m.
May 1….Lady Antebellum Wheels Up Tour 2015 - Lady Antebellum comes to United Supermarkets Arena as the first US stop on the Wheels Up 2015 Tour with special guests Hunter Hayes and Sam Hunt. Tickets are available at all Lubbock area Select-a-Seat outlets, by phone at 806-770-2000 and online at www.selectaseatlubbock.com. United Supermarkets Arena, 1701 Indiana Avenue; 7 p.m.
May 1….Tribute to Bon Jovi, Journey, Aerosmith – Musically speaking - it doesn't get any more exciting than this! Mega-hitsongsmade famous by rock bands that are bigger than life! Come see how we do Bon Jovi, Journey and Aerosmith at the Cactus Theater! Get ready for "Livin' on a Prayer", "Don't Stop Believin'", "Dream On" and many more classic tunes! You will love this concert. Please contact the box office at 806-762-3233 to reserve tickets. Reserved seating . 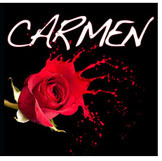 Cactus Theater, 1812 Buddy Holly Ave; 7:30 p.m.
May 1 – 2….Lubbock Symphony Orchestra presents: "Carmen" - One of the greatest operas of the 19th century; enjoy comedy and tragedy under the scorching sun of Seville, Spain. Come experience the rousing season conclusion of the LSO's HEROES AND HEROINES with a performance of "Carmen" with Conductor John S. Hollins and The Lubbock Chorale. For tickets call (806)762-1688. Lubbock Memorial Civic Center Theatre, 1501 Mac Davis Lane, 7:30 p.m.
May 1 - 3….AKC Dog Agility Trials - The South Plains Obedience Training Club of Lubbock will be hosting three days of American Kennel Club All Breed Dog Agility Trials. Approximately 150 dogs from surrounding states will be judged at these agility trials, many of which are the top ranked agility dogs in the country. In an Agility Trial, a dog demonstrates its ability to negotiate a complex course that will include climbing, jumping, going through tunnels, and weaving through a line of poles. There are different height categories and each exhibitor and dog team will be judged at one of 3 different levels of competition; Novice, Open or Excellent. The dogs competing in these classes are working toward AKC Agility titles.There will be free canine educational material available at these trials. No admission fee will be charged for this fun and educational event. Don’t miss it! For more information call 535-3794 or email at spotc@compuserve.com. Dogs that have not been entered will not be allowed. Texas Tech Equestrian Center, 1 mile west of the intersection of 50th St. and Upland Ave; Friday: 12 – 3 p.m., Saturday and Sunday: 8 a.m.- 3 p.m.
May 1-3 (Repeats May 8-10, 15-17)….Crimes of the Heart - Hazlehurst, Mississippi “five years after hurricane Camille” is the setting for a reunion of the three MaGrath sisters. They have come together because the youngest of them has just shot her big-wig politico husband in the stomach because, as she said, “I just didn’t like his stinking looks”. Crimes of the Heart is a funhouse of accelerating, rollicking misfortune, suffused with love and South gothic humor. Winner of the Pulitzer Prize and the Drama Critics Circle Award in 1981. Written by Beth Henley. Directed By Amber Langehennig and April Langehennig. Rated PG-13. Ticket Prices: Adults: $20, Students/Seniors $15. To reserve tickets visit http://lubbockcommunitytheatre.org/ or call (806) 749-2416. Lubbock Community Theatre, 4232 Boston Avenue; Friday and Saturday: 7:30 p.m. and Sunday: 2 p.m.
May 2….Running the Ropes - The first event to take place will be the 1 mile Fun Run, all on pavement. We will have 5 different divisions and will start promptly at 8 a.m. Immediately following the race we will begin our pancake breakfast in the school cafeteria. Your entry into the breakfast was included in your entry fee, HOWEVER you must present your bib number for entrance into the award ceremony and breakfast. Non- participants will have to pay $7.00 for entry into the awards/breakfast ceremony. The second event will be the 5K race which will start immediately following the 1 mile Fun Run. The course is fairly flat has both pavement and caliche surfaces. Water will be furnished along the route and after the race. We will have 14 age divisions for both male and female runners. Each runner will be timed. Register at www.yellowchetah.com/ropes5k or call d1-888-410-9426 or 806-790-0878. Entry fees: $20.00 till April 24th, $25.00 April 25th to May 1st, and $30.00 on race day. Packets may be picked up at Cardinals Sporting goods on the dates listed or on race day. There will be NO refunds. Medals will be given to the Overall Male and Female. Additionally we will award 1st, 2nd and 3rd place medals for each age division for both male and females. Each runner receives a shirt and a participation prize. Entries received after April 24 will not be guaranteed a shirt in the size requested. Entries received on race day may not receive a shirt at all. Races start and finish on the service road in front of the Methodist Church. 808 Arnett Avenue, Ropesville, TX; 8 a.m.
May 2….Strawberry Saturday - Come out to 19th and Buddy Holly to get locally grown strawberries and all the other awesome products normally found at the Lubbock Downtown Farmers Market. The strawberry harvest locally is before the market starts. This is a special event not just for strawberries, but showcasing anybody that has winter crops, art, bakers, eggs, meat, cheese, and more. Admission is free. Lubbock Downtown Farmers Market, 19th and Buddy Holly; 9 a.m.- 1 p.m.
May 2….3rd Annual Cinco de Mayo Parade - Cinco de Mayo (Spanish for “fifth of May”) is a celebration held on May 5. It is celebrated in the United States and in Mexico. Mexican Americans also often see the day as a source of pride, one way they can honor their ethnicity is to celebrate this day. The 2015 Theme is “Heroes Among Us.” Heroes can be anyone who have made an impact in our community, schools, serving our country, church. Help us honor them in the 2015 parade. Parade begins down historic Broadway beginning at the Civic Center Parking lot at 10 a.m.
May 2….Free Comic Book Day – Come and enjoy a day of fun for the whole family. Star Comics is celebrating the biggest day in the comic book industry and comic art form. Celebrating its fourteenth year, Free Comic Book Day has proven to be a smashing success, spreading the word that comics are a terrific read. “Even if you have never picked up a comic book, Free Comic Book Day has titles for everyone. We will have comics to give away that include characters like Batman, Superman, & Captain America as well as Archie, Adventure Time and Spongebob.” Star Comics will have people in costume, store-wide sales, and best of all, free comics to share with the Lubbock community. At our store, we carefully select what comics we think will engage the fans, and create grab bags for varying age groups. If we can get the right comic into the right hands, we can turn even a skeptic into a fan.” Regular updates, information about comic books, and a list of participating publishers and their free comics are all online at http://www.freecomicbookday.com. Star Comics, 2014 34th; 10 a.m.- 6 p.m.
May 2....The Roundtable presents Joe Scarborough: What Is The Center for Global Understanding? 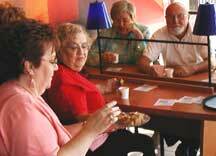 - Our luncheons are held at Hillcrest Country Club 4011 N Boston Ave, Lubbock. North on University past State Living Facility to Newcomb, left for about 4 blocks and you will come to the entrance of the Hillcrest Country Club at Boston and Newcomb. We meet from 11 a.m. – 1 p.m. with registration and meal selection at 11 along with networking so we are ready to begin the meeting at 11:30. Public is invited. Fee of $15 per person. Limited menu includes beverage and dessert. There are no membership fees or dues. Any extra proceeds goes to the Dudley E. Faver/Adolph Hanslik endowed scholarship to benefit TTU Honors College students. Our Saturday luncheons are a great way to (1) learn more about current global/US/Texas/Lubbock issues and events, (2) meet other people in area who may become lifetime friends (3) feel more at home in Lubbock. Most wear business or business-casual attire. No RSVP is necessary. Show up whenever your schedule allows, feel free to bring a guest(s) and email this invitation to anyone you think might be interested. Questions: email Marie Evans - Chair: MEvans1398@aol.com. May 2….Buster Whips the White House - See what happens when a government agency tries to break the West Texas spirit. You can't possibly believe the hilarious antics in this confrontation. Starring Jane Prince Jones and Kurt Kiser; the stars of many sellout Cactus productions. Jane is at her best in her role as Joy and Kurt shines as a shifty undercover agent. There's no better chemistry than Kurt and Jane. If you loved "Smokes on the Mountain," "Heavenly Country," and other productions these two star in, you will leave the Cactus saying this is the best yet from this dynamic duo. Please contact the box office at 806-762-3233 to reserve tickets. Reserved seating . Cactus Theater, 1812 Buddy Holly Avenue; 7:30 p.m.
May 2 - 3….The Lubbock Gem and Mineral Society's 57th Annual Gem, Mineral, Fossil, Bead and Jewelry Show and Sale – This year’s show will feature dealers, demonstrators, exhibits, silent auction, hourly door prizes, fluorescent mineral display, kid’s games, grab bags, classic and contemporary handmade jewelry, loose stones, rough, cabs, slabs, geodes, beads, minerals, jewelers, wire wrappers, lapidary demonstrations, adult grand prize and junior grand prize. General admission $4.00, senior admission $3.00, students 6-12yrs. $2.00 and under 6yrs old free. Lubbock Memorial Civic Center, 1501 Mac Davis Lane; Saturday from 9 a.m.- 5 p.m., Sunday from 10 a.m.- 5 p.m.
May 3….Harp Studio Recital - This is the final concert event for Gail Barber, our long-time harp professor. Admission is free. Hemmle Recital Hall, Texas Tech University; 3 p.m.
May 3….Cactus Kids Go Country - Yes, they are kids (ages 6-18) but the "kids" will knock your socks off!! Come join us at the Cactus Theater to hear these fantastic singers that will absolutely amaze you! Please contact the box office at 806-762-3233 to reserve tickets. Reserved seating $20, $10 (for kids 12 and under). Cactus Theater, 1812 Buddy Holly Avenue; 7:30 p.m. The Question: Jean Lafitte was a real-life pirate who provided assistance to America in which war ??? Answer: The War of 1812...at the Battle of New Orleans. May 7 - 10….Moonlight Musicals Presents: "Mary Poppins"